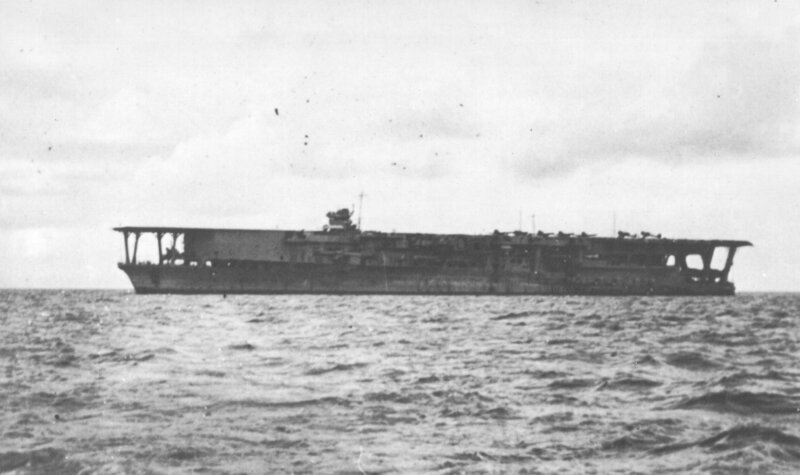 Wreckage from Japanese aircraft carrier sunk at Battle of Midway identified! 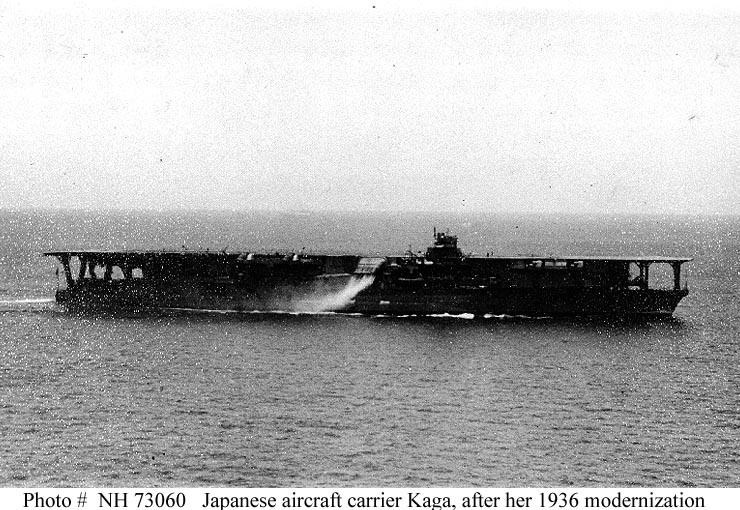 Nauticos Corporation and CombinedFleet.com announced today that they have positively identified an important artifact belonging to the Japanese aircraft carrier Kaga, which was sunk at the Battle of Midway on June 4, 1942. 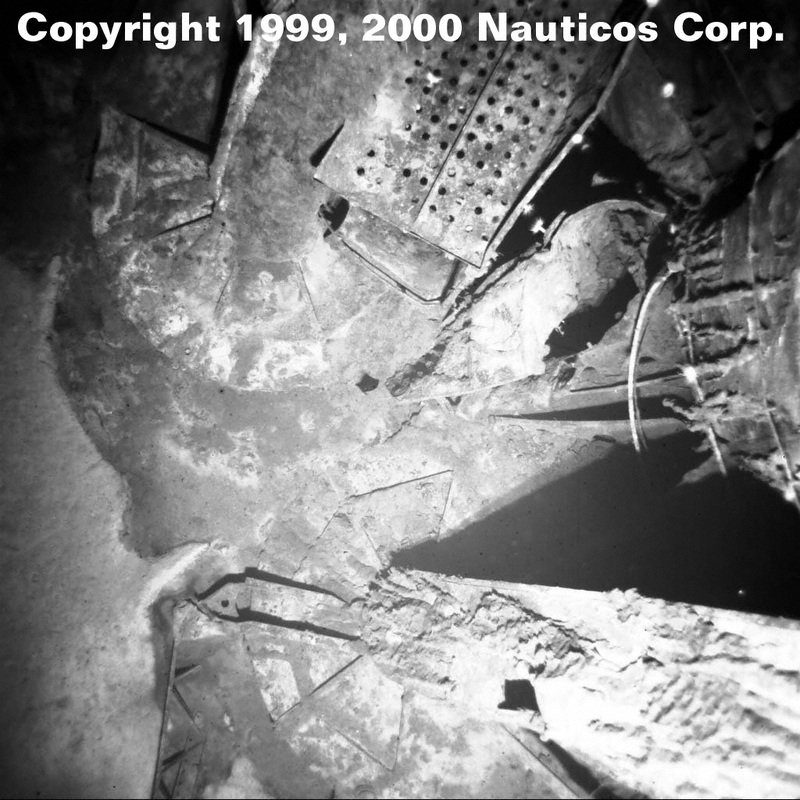 In September 1999, a combined team from the Naval Oceanographic Office and Nauticos found wreckage from the carriers off the island of Midway. Working together under a Cooperative Research and Development Agreement (CRADA) signed last year, the discovery was made while at sea on the Navy oceanographic ship USNS SUMNER (T-AGS-61). 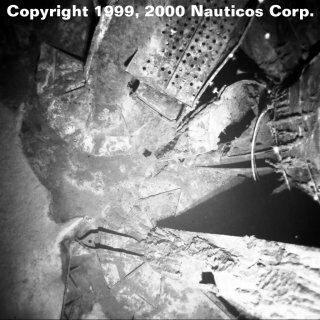 The expedition collected sonar imagery and videotape of the debris. 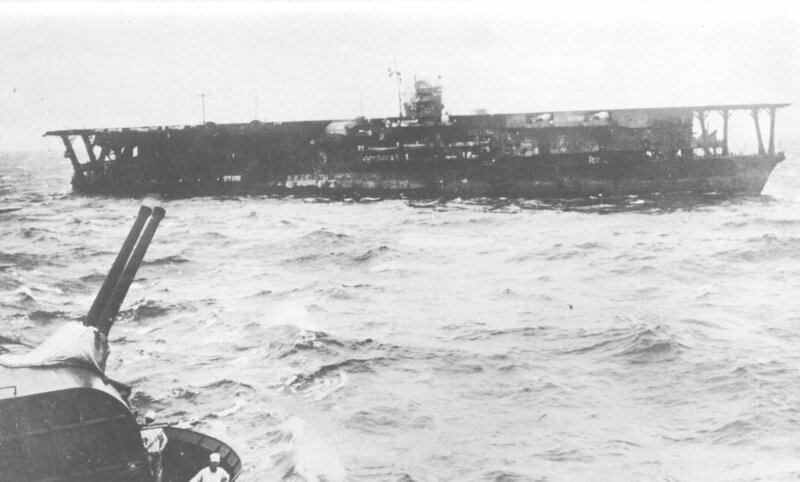 Subsequently, this information was used by a historical team from CombinedFleet.com (consisting of Jon Parshall, Tony Tully, and David Dickson), to positively identify the wreckage as coming from the Kaga. 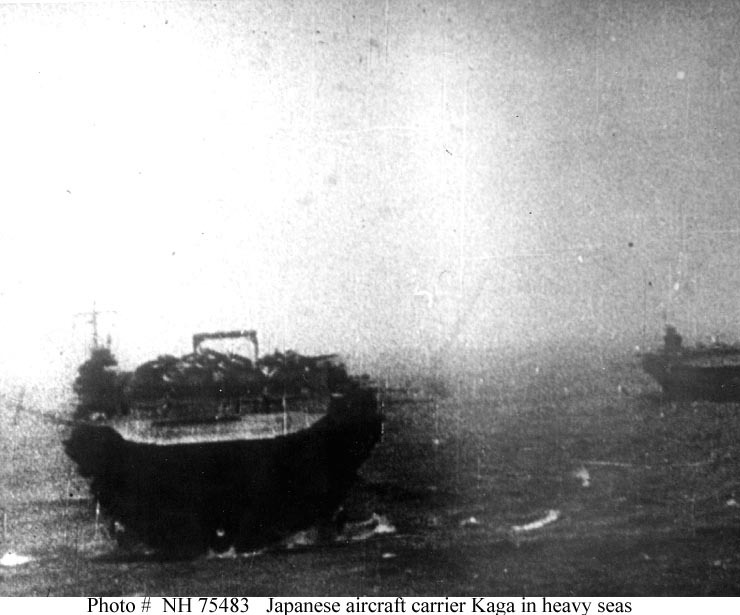 Kaga had been stuck by an American air attack at 1020 hours on the morning of 4 June, leaving her ablaze. The ship burned for more than nine hours, and 814 of her crew were killed during the ordeal. 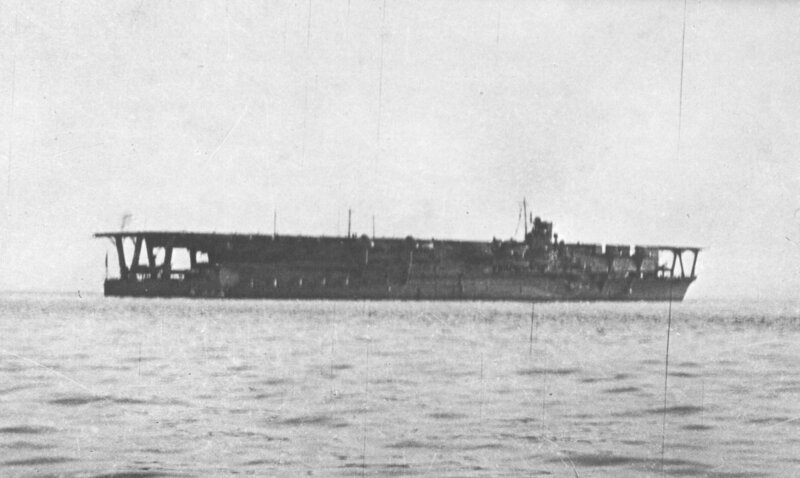 Three other Japanese aircraft carriers, Akagi, Soryu, and Hiryu, were also lost during the epic battle. 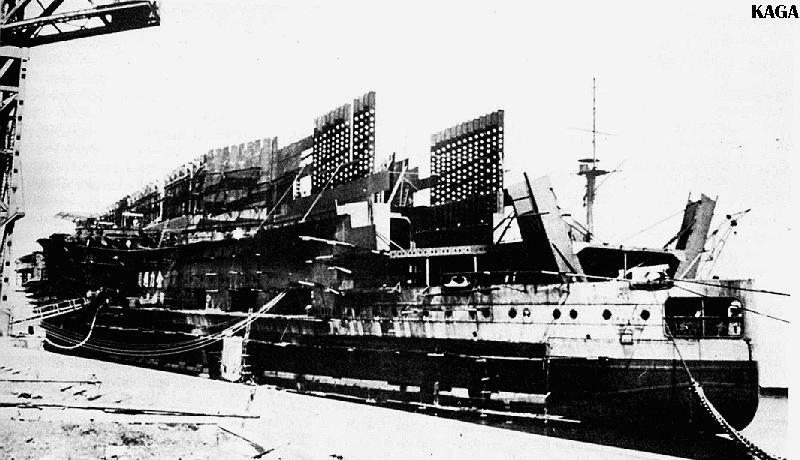 of two gun tubs and a section of the upper hanger deck, located on the starboard aft machine-gun gallery of Kaga (see image below). The artifact is resting upside down in 17,000 feet of water. Also visible on the wreckage are the walkways connecting the gun tubs, an observation platform, and a landing light array (used to help guide pilots to a safe landing aboard the carrier). Follow-up analysis to determine the timing and cause of the artifact's origin is underway. 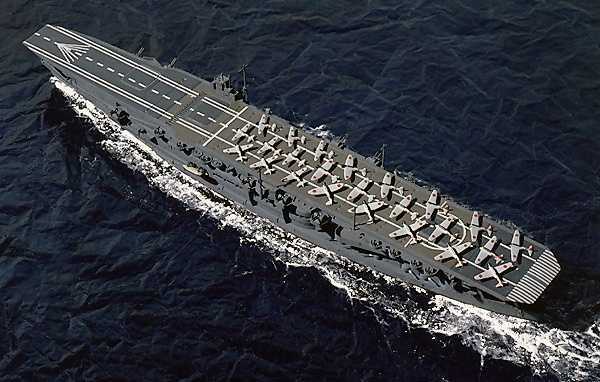 It is hoped that the main hull of Kaga can be located at some time in the future. This is an important find for the naval historic record. The Battle of Midway was one of the most crucial naval battles in history. 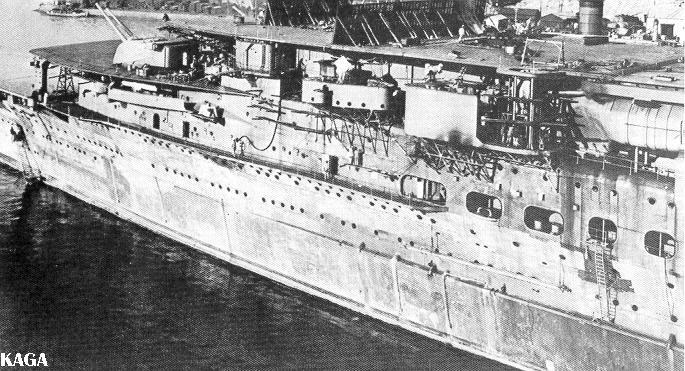 The wreckage discovery will aid in the discovery of the main wreck of Kaga, and may ultimately lead to the other ships as well.